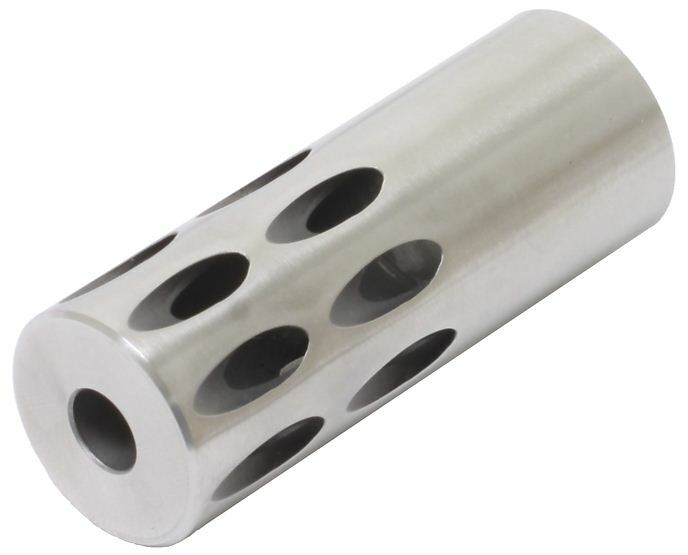 Volquartsen Forward Blow Comp, 1/2 x 28 TPI, Stainless finish for .920 barrels. WOW ! First off, this is one fine piece ! crafted and drilled flawlessly lots of attention to detail on this. I have used many of Volquartsen products on a Ruger Mark 3 and it was day and night from stock to Volquartsen parts. So i am waiting to go to the range to field test it, but when i do so, i will write another review on that, but definitely worth the price, this is one solid very well crafted piece !